Ticks are in the arachnid family. They bite to fasten themselves onto the skin and feed on blood and if you have pets or if you are in wooded or high grassy areas, you may encounter a tick that can bite and attach itself to you! 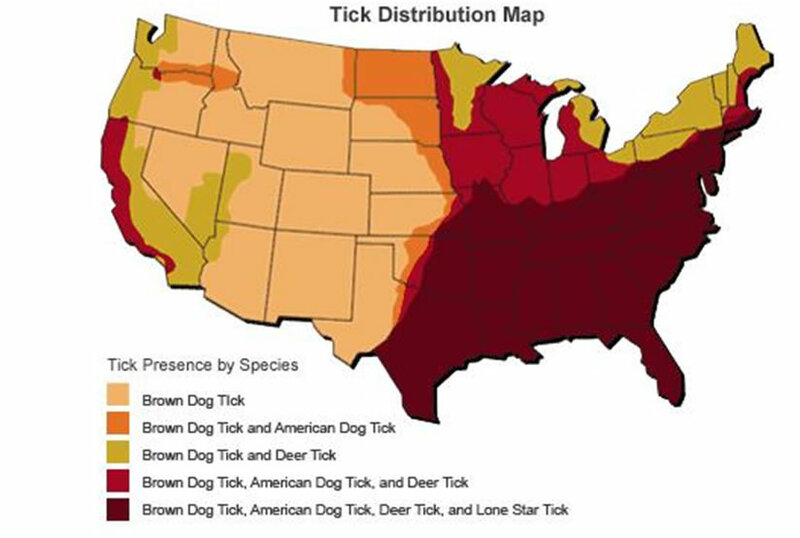 Most ticks don’t carry diseases, and most tick bites don’t cause serious health problems. But it is important to remove a tick as soon as you find it. Removing the tick’s body helps you avoid diseases the tick may pass on during feeding. Removing the tick’s head helps prevent an infection in the skin where it bit you. Usually, removing the tick, washing the site of the bite, and watching for signs of illness are all that is needed. In our area of the country, we are exposed to more than one type of tick and since there is a chance that they can pass things like Lyme disease and other illnesses to humans, when you have a tick bite, it is important to determine whether you need a tetanus shot to prevent tetanus (lockjaw). Some people may have an allergic reaction to a tick bite. This reaction may be mild, with a few annoying symptoms. In rare cases, a severe allergic reaction (anaphylaxis) may occur. Tick paralysis is a rare problem that may occur after a tick bite. In some parts of the world, tick bites may cause other tick-borne diseases, such as South African tick-bite fever. Adult deer ticks are about the size and shape of a sesame seed when not fed, increasing to about 0.13 – 0.25″ when engorged with a blood meal. They are dark reddish brown, and the hard dorsal plate is uniformly colored. Lyme disease is a non-contagious, inflammatory condition caused by the spirochete bacterium, transmitted by the bite of the deer tick. Ehrlichiosis is the general name used to describe several bacterial diseases that affect animals and humans. Typical symptoms include: fever, headache, fatigue, and muscle aches. Bellow left is an engorged female and to her right is a male.